Minnesota Twins' Byron Buxton warms up before a practice at baseball spring training in Fort Myers, Fla., Tuesday March 3, 2015. 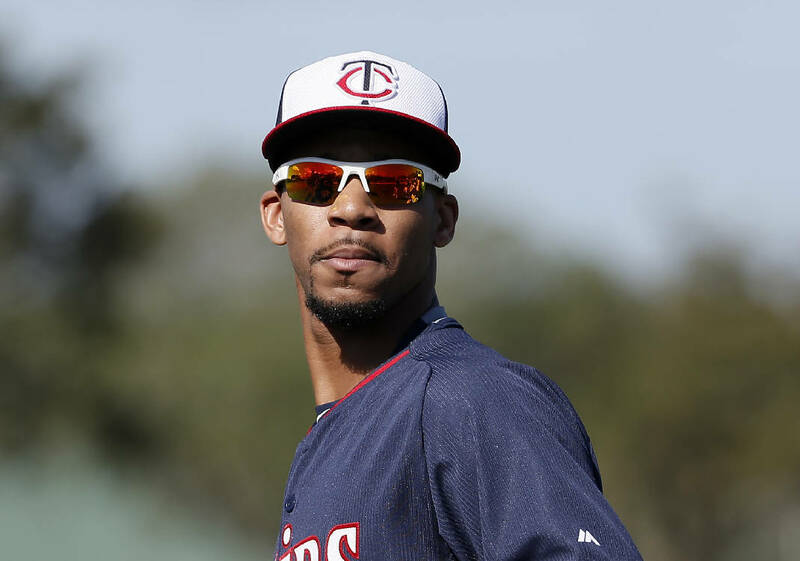 Byron Buxton, the highest-rated player in minor league baseball according to MLB.com, was officially announced Monday afternoon as a member of the 2015 Chattanooga Lookouts. The outfielder from Baxley, Ga., is not alone as a touted Minnesota Twins prospect opening the season at the Class AA level. Third baseman Miguel Sano, the No. 12 overall prospect according to MLB.com, and pitcher Jose Berrios, who is ranked No. 33, also will start out in Chattanooga. The newspaper's annual "Meet The Lookouts" page will run April 15, ahead of the team's Southern League home opener against Birmingham that evening. Buxton, Sano and Berrios are Baseball America's top three Twins prospects, while relief pitcher Nick Burdi (No. 7) and outfielder Max Kepler (No. 8) will give Chattanooga half of the organization's top 10. Buxton, Berrios, Burdi and Kepler played last season for Fort Myers, which won the high Single-A Florida State League title. "We do have high expectations for this group after what they did last year," Minnesota player development director Brad Steil said. "Most of those guys are on this team, so we're definitely looking forward to the season. At the same time, we're going to have a lot of new guys who will be in Double-A for the first time. "You never know how those guys are going to respond when they make that jump to Double-A." The Twins sent a 26-player roster to Chattanooga on Monday. It must be trimmed to 25 by Thursday, when the Lookouts open their 140-game Southern League season in Montgomery, Ala.
Kepler, whose full first name is Maximilian, is among those who will be making the leap to Double-A. Born in Berlin, Germany, he hit .264 in 102 games last season with Fort Myers. Burdi also will be making his Double-A debut, while Buxton and Sano have Double-A experience but are bouncing back from injuries. The Lookouts are scheduled to practice at AT&T Field for the first time this afternoon and are scheduled to play Chattanooga State in an exhibition tonight at 6:15. This story was updated at 10:16 a.m. It originally stated that Kepler was born in Stuttgart, Germany. He was born in Berlin.